When you want to start a website, you will come across that you need a web hosting account. 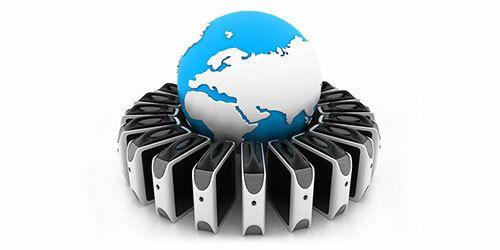 Web hosting is server space where you can store your files to be accessed by anyone on the internet. You rent or lease this space from a company or provider. Your space on the server will have a dedicated IP address which is mapped to your domain name. When you start looking for web hosting you will notice there are many different types of hosting. There are differences to all of them. Knowing the difference will make sure you aren't overpaying for what you need. You may be enticed by the price of Free Hosting. But be warned that this is probably not the one you want. They do exist but do come at the price of your website's success. They are slow, have a lack of security, and no option for a unique domain name. My advice is to stay away. This is the most common and most affordable web hosting. Why they call it shared hosting is that you will share your server with other websites. Usually hundreds of sites are on one server with allocated resources. This isn't necessarily a bad thing. Hosting companies have sophisticated software that manages site performance and bandwidth. This keeps your site up when others may be taking a lot of resources. If you are starting a new site or have a small site, this hosting is perfectly fine. There are a lot of providers that offer unlimited space and bandwidth to their plans. Virtual private hosting is similar to shared hosting. Where you still share a server with other websites, but at a small ratio. There may be only a dozen of sites on one server, but what makes them different is their flexibility. With a VPS plan, you get root access to your server. This gives you full customization to your server's operating system settings and applications. This is a great option for those who are starting to have a spike in traffic or have an e-commerce store. VPS will cost a lot more than a shared hosting plan, but there are plenty of cheap options available. This is the top tier option for web hosting. A dedicated server is your very own. You are the only one that uses it and you have full customizable options to it. This should only be considered if you have a high resource website. With a lot of programming requests and high amounts of bandwidth. Dedicated servers will require your own maintenance. You will need to install your own application updates, security patches, and optimize server loads. Cloud hosting is a way to split up your traffic between multiple servers. This gives your processing power almost unlimited. How this works is if one server has a traffic spike another one is called to lighten the load. This is great option is you have traffic spikes caused by break news or viral type of content. Where you need extra performance at limited times. You may run into an option called reseller hosting. Having a reseller account gives you permission to sell some of your server space to other clinics. It makes you a wholesale of web hosting. This has limited availability as hosting companies would rather customers go through them instead of you. When finding a web hosting plan remember that it's not set in stone. You can always upgrade your server down the road. If you are starting out, consider a shared hosting plan. One you start gaining traffic and adding features to your website, upgrade to a better server. The important thing is to get started and get your website up for people to see.